If you are looking for a city break to Germany, have a look at this hotel-deal to beautiful Hamburg. At Trivago I found a centrally located hotel for just 133 DKK per person, per night! You’ll can stay one night at the 3*Novum Style Hotel Hamburg Centrum. The hotel has received good reviews from Booking and has been awarded with a 7.5 out 10 total rating from 568 different reviews. The hotel is modern and located in the trendy district St. Georg and just a few minutes walking distance to central station. A longer stay in Hamburg is available at an additional cost. If you want to search for a cheap flight to Hamburg check the offers on Skyscanner.com. While in Hamburg there is a never-ending list of things to see and do. The best way to discover the city is by foot and Metro. 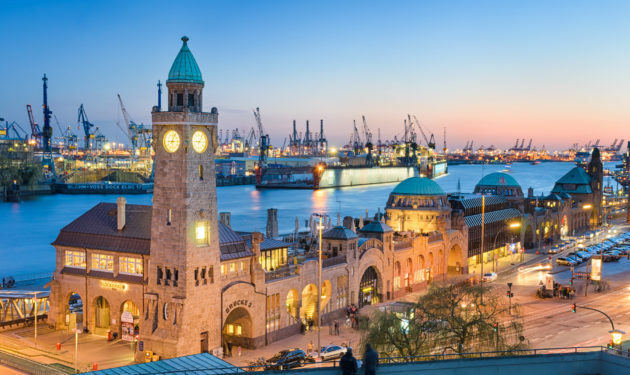 You can visit the famous Reeperbahn in St. Pauli, walk along the industrial harbor and go on a canal cruise, get lost in the Second-hand Shops and have authentic German fish at the fish market. PS: Did you know that Hamburg has more bridges than Venice?